Mr. Khy Huy is Research Coordinator at the AU Institute on Disability and Public Policy (IDPP). He also is a Senior Advocacy Officer at World Vision Cambodia. Formerly, Mr. Khy served as a Senior Program Officer for the Cambodian Disabled People’s Organization. 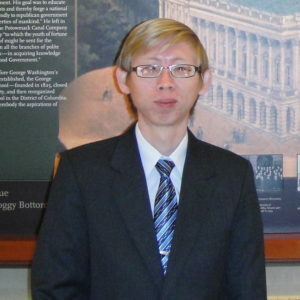 Under a Fulbright Scholarship, he graduated from American University’s Washington College of Law with a Master’s of Law in International Legal Studies in 2010. Previously, he volunteered at the War Crimes Research Office and interned at the Academy on Human Rights and Humanitarian Law. He received his M.A. in International Affairs with a concentration in Comparative and International Disability Policy (CIDP) from American University's School of International Service in 2013.